Made entirely in Melbourne, Australia, the Amelia Dress by Misha Collection is an eye-catching and glamorous addition to your wardrobe. Featuring a strapless and structured full bodice, crafted using Italian power mesh and intricate Italian silk satin binding, complimented by eyelet details with fine interlacing rouleau ties on the front. The cinched waist flatters the silhouette and the fitted over the knee hemline provides further sophistication. 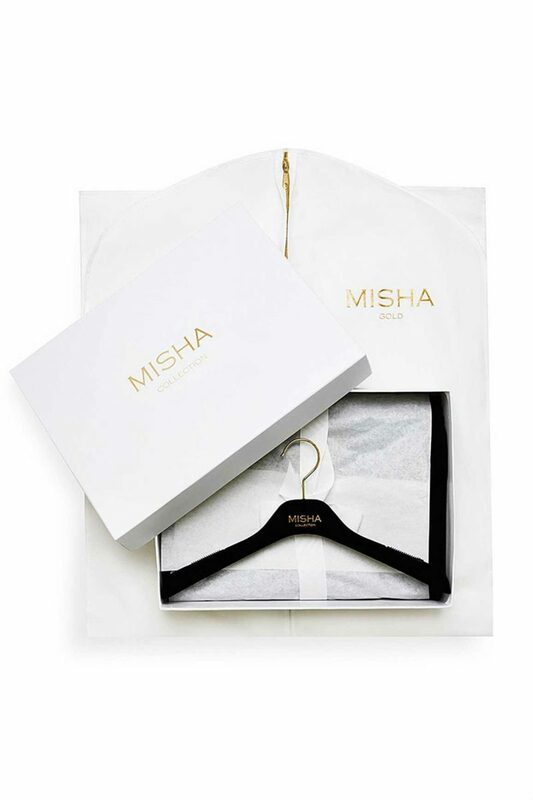 Each ‘Gold’ by Misha piece includes a custom made velvet coat hanger and Misha branded garment bag.